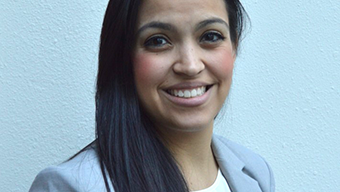 Southwest Indian Law Clinic students Veronica C. Gonzales (’15) and Heidi Todacheene (’15) will represent their client and argue the case before the New Mexico Court of Appeals at 10:00 a.m. on March 18, 2015. The case, Myron G. Yepa v. State of New Mexico Taxation & Revenue Department, No. 33,101, is a result of collaboration and teamwork among a group of students and supervisors. SILC students have been providing high quality legal service on this case since 2007. The above appeal resulted in a victory before the district court in Sandoval County on a constitutional ex post facto issue. The district court ordered that the driver’s license be reinstated under the applicable “old” law, and the state appealed. Although Professor Barbara Creel took the case and formulated the legal action with students, JoEtta Toppah (’12) and Morgan Currey (’12), former students Christopher Vigil (‘13) and LeeAnne Kane (‘13) successfully argued the original petition in the district court. Former SILC students Walker Boyd (‘14) and Santee Lewis (’14) helped preserve the issues and formulate the appellate argument to uphold the district court finding. Professor Christine Zuni Cruz, and Visiting Professors Javier Martinez and Andrea Seielstad, also helped shape the arguments and supervise students in advocating for their client at various stages. 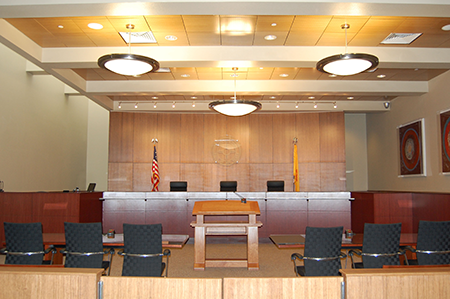 Law School students are invited to attend the oral argument presented by Veronica C. Gonzales (’15) and Heidi Todacheene (’15) at the New Mexico Court of Appeals, right next door to the UNM Law School. In the Southwest Indian Law Clinic(SILC), student attorneys represent Native clients in state, federal, and tribal courts and in governmental agency hearings. Students also have the opportunity to work with tribes, pueblos, and organizations serving the Native American community.